2018 Retail Perspective: Four key themes retailers need to pay attention to. How do customer needs and your business objectives intersect in the context of customer experience, technology, and your individual brand? At Logic, we’re feeling bullish; as an industry, we’re finally entering a year with clear growth expectations for retail. 2018 holds the promise to be strong and profitable; we saw this in an optimistic outlook from many attendees at the recent NRF Conference & Expo in New York. 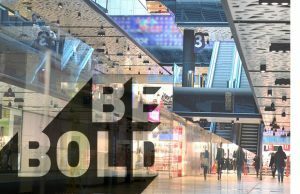 Indeed, the Javits Center was filled with retailers from around the world who were eager to pick up on the latest trends and explore all that technology has to offer. Regardless of your current situation, it’s more critical than ever to understand customer experience and associated technology shifts in the context of your individual brand, your customers, and how their needs and your objectives intersect. 1. Retailers are obsessing about the customer experience. And they should be. Gathering data is great, but the focus should be on the customer as a person, not on inputting data into a device. Driving customer engagement with mobile apps through targeted messages, special event invites and other offers are finding success as shoppers approach the store. Subscription services are thriving: consumers love the convenience and curated product selections, and it creates another customer experience touchpoint! This area is expected to grow in 2018 and beyond. The uber-connected Internet of Things is predicted to reach a staggering 75 billion devices by 2025. Use cases include everything from tracking inventory to managing theft, and perhaps most importantly, connecting with customers. 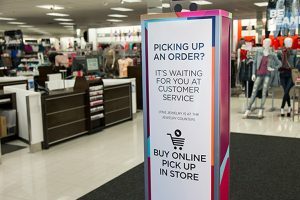 Tailoring messages digitally on shelf edges allows a retailer to leverage this key piece of real estate in stores to expand communication with customers. 2. (Not your mother’s) RFID: Well beyond the hype of 20 years ago. We see a plethora of practical applications in today’s marketplace leveraging radio frequency identification tags. The cost of entry has dropped dramatically, meaning the breadth of applications grows literally by the day. Evidence is mounting that implementing RFID technologies has a rapid payoff for retailers: RFID has been a boon for retailers when it comes to omnichannel inventory tracking increasing inventory visibility by about 25% on average according to multiple studies. But the use of RFID is not limited to tracking products – retailers are also using this data to help track customer movements within the store, keep an eye on valuable fixtures, and also monitor cold-chain execution processes within the four walls of store. The next-gen which pushes this RFID inventory accuracy down to the fixture level is promising for being able to locate misplaced items in-store and track display compliance – all of which lead to improvements in on-shelf availability and ultimately sales. 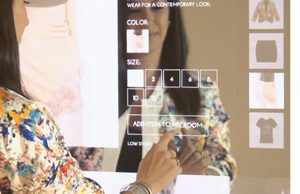 For fashion retailers, RFID gives the capability to deploy smart fitting rooms, where a customer can quickly and easily request different sizes and styles without having to leave the dressing room. 3. No matter what you call it, Unified Commerce is the model going forward. Neither online or in-person channels can exist in a vacuum anymore, success is dependent on blending physical and digital experiences in a way that makes sense for both what your brand offers and the types of consumers you are targeting. Expect to see more M&A activities between digital and physical store brands or retailers and associated services in 2018. Retailers will continue to right-size their store formats and physical locations. The economics are compelling: a smaller footprint allows retailers to penetrate into communities where a big box simply doesn’t make sense and further expand their customer base. Although focus on “the last mile” has gained visibility in recent years, 2018 is the year to bring efficiency and profitability to inventory placement and the engagement centers (stores) to enable successful omnichannel execution. This requires a unified view of inventory, deep visibility of where the customer chooses to have orders fulfilled (versus simply sales locations) and the item-level handling tasks expected of your associates. 4. Be bold on Innovation. Retail sales through the holidays were up more than 4.9% this year, boosted in large part by strong online sales. But the biggest winners were the retailers who tried new strategies to engage consumers. “Companies are embracing new ways of doing business and reengineering how they connect with customers…Consumers are all about convenience, but they also want to shop,” says STORES Magazine Editor Susan Reda. It’s becoming clear that the key differentiator for most retail winners is the ability to innovate quickly and effectively. With better insights from multiple non-traditional data sources, retailers have the opportunity to quickly identify opportunities to better engage customers and then measure the results of those programs across the entire organization. Many of these data sources are currently in-use, but not applied across the organization to measure customer experience wins or opportunities. Voice and conversational commerce has been made possible through virtual assistants and devices including Siri, Amazon Alexa, Echo and Google Home. They may put a new spin on online ordering; but the concepts are fundamentally not that different from other methods of adding products on an online shopping cart. AI and Virtual Reality will become more important as they become more integrated into our daily lives. Being able to digitally try out or try on a product can have a significant impact on the buying decision. 2020 is just around the corner, Gartner predicts that augmented reality will reach 100 million consumers within the next two years. On the flip side, virtual reality can help retail design teams to visualize new store layouts and shelf and product set-up. It may soon be possible to “walk through” store remodels and redesigns before committing to a project. Obviously this is a long list, but it’s also not exhaustive. The point is to find the right strategies and approaches that connect with your customer base, work with your business model, and then measure the results. The challenge for many retailers this year continues to be navigating the unending pace of change in the market. In order to stay competitive, innovate, and embrace bringing digital technologies into your stores to further personalize the experience for shoppers, you have to make a decision on where to invest. We can help; whether you take advantage of our strategic advisory capabilities or leverage our analytics expertise to help you identify new initiatives or measure the success of those already in-flight, Logic has a proven record of delivering better business outcomes in retail. Executive-level guidance in managing key risk areas and optimizing return on initiatives.